A favorite trail among all visitors to Wyalusing State Park is the Sentinel Ridge Trail. 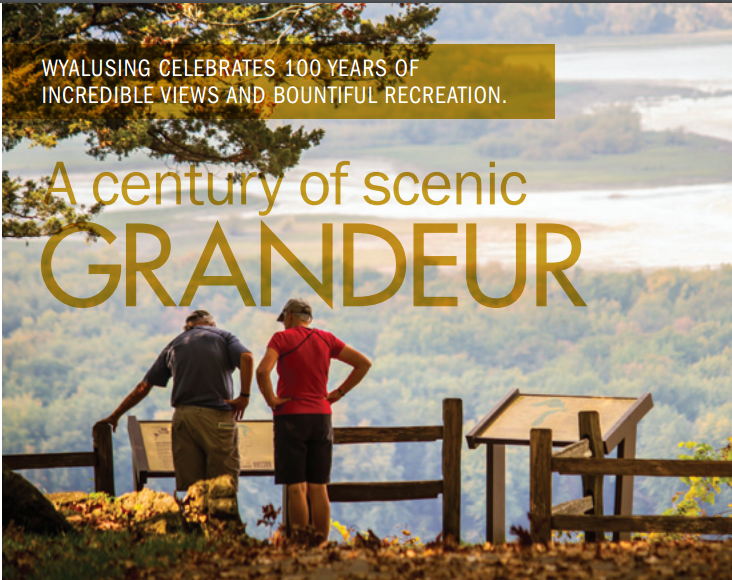 This trail, for the most part, stays atop the bluffs overlooking the Wisconsin and Mississippi Rivers. Sentinel Ridge is one of the oldest trails found in Wyalusing State Park. The trail, today, is very much like it was when it was first used. Click on the arrow below to fly over the trail at 400 feet at 100 mph. Fasten your seat belts! Click for larger view of flight. Use the interactive map, shown below, to control direction, altitude, and speed of your flight. The controls are in the upper right of the map. 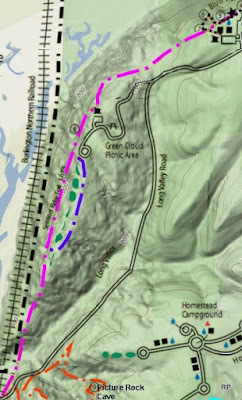 In order to see the purple Sand Cave trail, use the zoom bar. The zoom bar is the vertical bar below the directional circles. 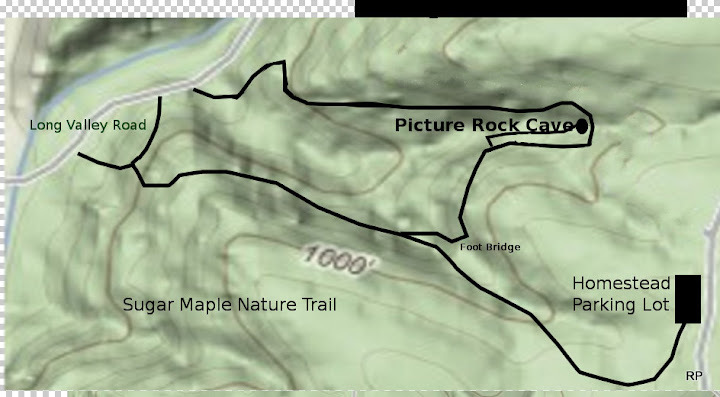 Following is an unofficial trail description. 1=walking on a level paved road. 10=Walking on an unmarked trail up a bluff, covered with leaves, poison ivy, tree roots and boulders the size of a house. Difficulty: 2-3. Short stretch on the south end is 6-6.5. Mosquitoes: mild to moderate. Much of the trail is along the top of a bluff and in the woods. Bathrooms: Wisconsin Ridge Picnic area. None at Green Cloud Picnic Area. Bathrooms at boat landing. Parking: Point Lookout Picnic area, Pigeon Monument, or boat landing, The parking choice depends on the trail head. Perhaps you want to follow the elevations of Sentinel Ridge Trail before you decide to walk along the path? Follow the elevations as you “walk” along Sentinel Ridge Trail.